UAVs have made their way into farming. Nowadays, people are starting to use drones more and more for keeping their eyes on their livestock. UAVs even more useful when it comes to searching for lost animals as a great deal of them have thermal-imaging cameras. Drones are no longer just for scouting crops. With thermal imaging cameras, drones can be used to scout cattle as well. Producers can use thermal cameras on drones to find cattle today. However, very few producers are doing this because it's still a new practice. Thermal cameras on a drone are different from near-infrared (NIR) cameras used for crop scouting and monitoring. NIR cameras capture light reflected by plants. Thermal imaging cameras turn it into a powerful tool which can be used in many sectors including in farming. Thermal drones which use vision imaging cameras have so many advantages by detecting heat coming from almost all objects and materials turning them into visible picture and video. A drone operator can set a base temperature on a thermal camera to show only heat signatures above that level. Different colors represent temperature fluctuation on the camera. This makes a thermal camera a useful tool for cattle producers. Producer wants the drone to find sick cattle. A thermal camera will allow a drone to see a cow’s heat signature. If the animal has an unusual body temperature, the camera will recognize it. This application could be quite useful, especially during calving. By understanding how heat signatures relate to animal behavior, the drone could find the cow and evaluate her situation. It would recognize her symptoms and notify the owner if she was sick or about to calve. Please check out our list of 6 best drones for cattle in the agricultural market sector as well as farming animals. The Honeycomb Agdrone visually drones are made of sturdy carbon fiber, giving remarkable stability and strength 10x stronger than steel. It also has obstacle avoidance and a superior 20 MP sensor, shooting video in 4K giving you incredible detailed footage. It can be used for crop monitoring, 3D-mapping + NDVI (with the help of an app), visual stereoscopic, NIR, thermal imaging, and photography. Flight times up to 55 minutes. Comes with flight planning/control software and all the hardware you desire. HoneyComb has made the process of capturing and processing data seamless, generating your own scouting reports, and optimized for checking cattle in farm animals and agricultural drone applications. Advantages include 6-channel image processing, one-click data handling, robust algorithms, and optimized hardware configuration. The price is approximately $10,000+. Meet DJI’s newest technologies that enable you to create something that will revolutionize the world. It is one of the best camera platforms on the market. The Matrice 100 is a fully customizable, programmable flight platform that’s optimized for use with the DJI SDK, and the Guidance is a visual sensing system that brings automatic object detection capabilities to your aerial platforms. 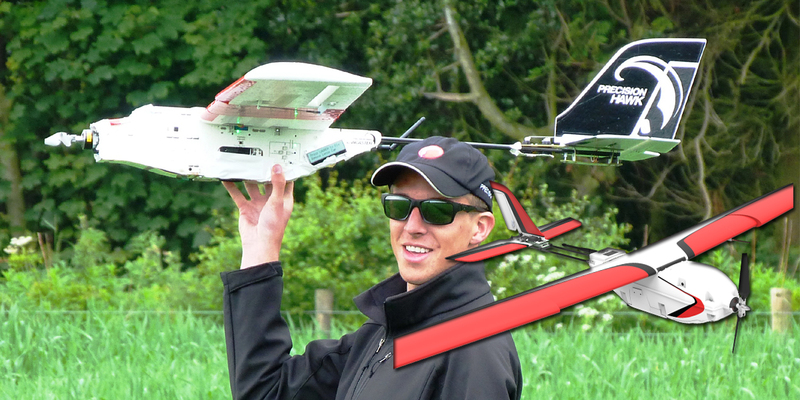 The Matrice 100 also comes fare so you can mount everything you want creating your own customized surveillance UAV. The most impressive feature of this drone is its powerful motors. The super strong electro mortars allow the drone to take quite a very heavy payload. The quadcopter features the headless mode and the six axis stabilization system that increases the drone stability and the ability to withstand very fast ones. The price is $3,269. The camera is capable of filling in 4K-capable quadcopter drones. With Dual band navigation system (GPS and GLONASS), detachable gimbal, the arms of the strong lived to provide you with a stunningly clear and unobstructed 360-degree view allowing for an all-encompassing field of vision that DJI has their waypoint feature that allows you to map out a route and have the drone follow the journey. 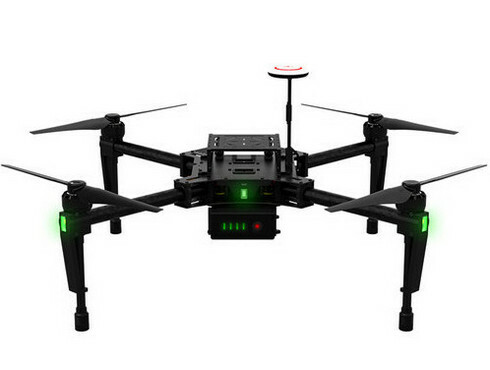 With a flight time of 25 minutes, this device is going to throw DJI T600 Inspire 1 a tough competition. The price is $1,999.99. A complete Ready-To-Fly System. Everything you need is included and ready to go. Strong carbon fiber arms lift out of sight, transforming the way you shoot. Shoot up to 4K video and capture 12-megapixel photos with the Inspire 1 camera. A real-time feed from your Inspire 1’s camera is displayed in 720p HD on your mobile device. 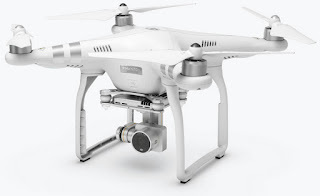 You have to pay $799 and you will gain access to all interesting features of Phantom 3 4K drone unit. But note that it will not provide you 4K footage. So if you are thinking hard about whether to compromise for this 4K ability or not then here is the best answer: after observations it is observed that reliability, range and video streaming ability of phantom 3 advanced is much better as compared to Phantom 3 4k. You will definitely get an impressive and useful model for your investment. If all conditions stay normal or favourable then with Video Transmission System the Lightbridge technology will assist Phantom 3 Advanced model to enjoy long flights, up to 5000 meters. It means you are able to travel 4.1 times farther as compared to your Phantom 3 4K model and this flight will be 5 times farther when compared to Phantom 3 standard. Further, This Advanced units are well equipped with GPS+GLONASS Dual Positioning Module system that helps it in better tracking of global map during flights. It comes with Sony Exmor R BSI ½.3 inch camera unit. Offers 1920x1080p recording ability at 60 fps frame rate. Users will love to enjoy its return to home feature. Buttons are provided for playback, shutter and video recording operations. It works with advanced GPS system. Contains all features of Phantom 3 Standard unit. Easy to use and control buttons ensure much better flight experience. DJI Lightbridge Video Downlink is a big advantage. It can never provide you 4k recording ability. Also has follow me functional my next entry is eBee SQ drone from sense fly the thing that makes the eBee SQ stand out are its sensors. These high-level sensors are useful for identifying and tracking down lost animals and the high-definition of the camera allows for very detailed shots. The eBee SQ is also very affordable for a high-capacity drone like this. And it carries a price tag of about $5,000. The Lancaster Hawkeye Mark III is the most advanced drone for commercial agriculture and cattle scouting use. It has sensors for heat detection infrared temperature sensor pressure sensor humidity sensor and so on. Precision Hawk’s Lancaster Hawkeye Mk III, a small fixed-wing aircraft, will carry visual, thermal and multi-spectral sensors. 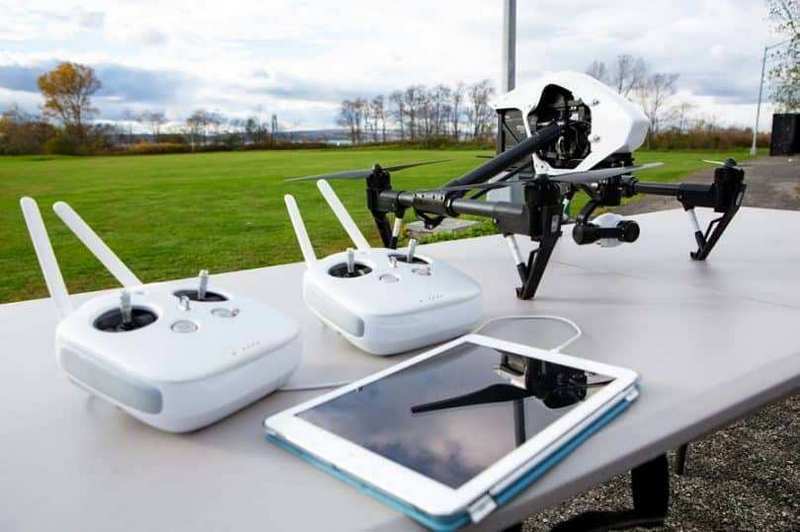 The drone is also equipped with the Linux 720 megahertz dual core that quickly processes the information through sensors mounted on lightweight unmanned aerial vehicles (UAVs). The Lancaster Hawkeye Mark III is designed to process raw data and interpret it into usable information in the form of actionable ortho-rectified, georeferenced mosaics in 3D and GIS-ready formats. This drone has one of the longest flight on the market and can stay in the air for about half an hour to up to a full hour depending on the flying style and the equipment used well. 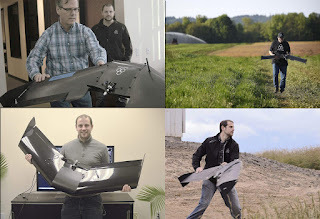 We hope we've given you a good idea of what to expect when you're looking for commercial UAVs and we sure hope you set your eyes on one brought to you either journey be ok you. 0 Response to "6 Best Drones for Checking Cattle"